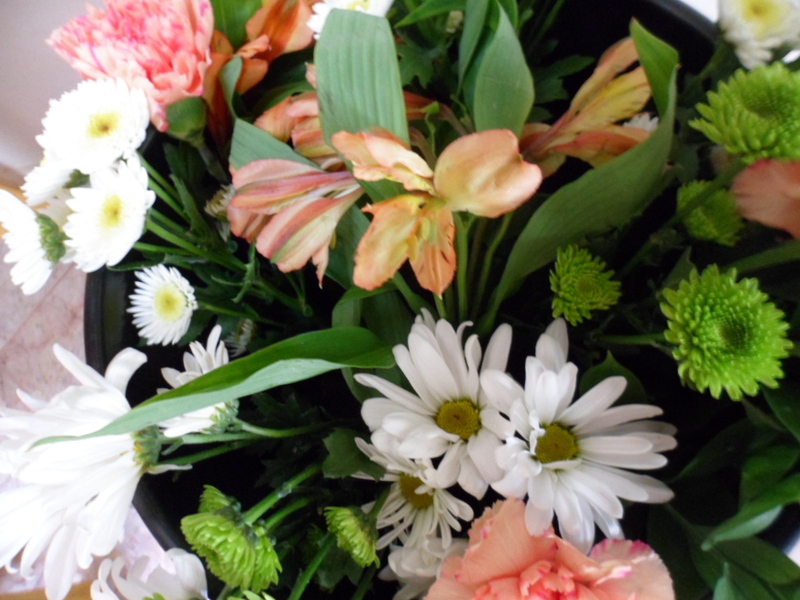 It was perfect weather for driving and for flower arranging. We had special guest teacher Taeko-san who taught us moribana style (piling-up style). Ikenobo school has different styles and this moribana style was practiced often before; but now days it is included in free style category. Free style is more popular throughout the world because of ease to get variety of containers and materials especially among the young generation. Moribana has some rules of Shin Soe Tai (three yakueda-three main parts). Moribana first appeared in late 1800 in response to westernization of Japanese homes and life styles. Moribana style shares with the more traditional styles an emphasis on natural beauty and character of branches and flowers similar to naturalistic free style arrangement. Both moribana and free style are more freely arranged to suit the taste of the arranger than other traditional styles. There have been changes over the 550 years of Ikenobo school but the spirit of the school is same as before. Thank you for your interest in Ikenobo Ikebana and thank you for bringing nice snacks. Enjoy your Summer, Suzumi Adams. Last updated 1/1/2019 Copyright 2006 - 2019 Mid Hudson Japanese Community Association. All rights reserved.